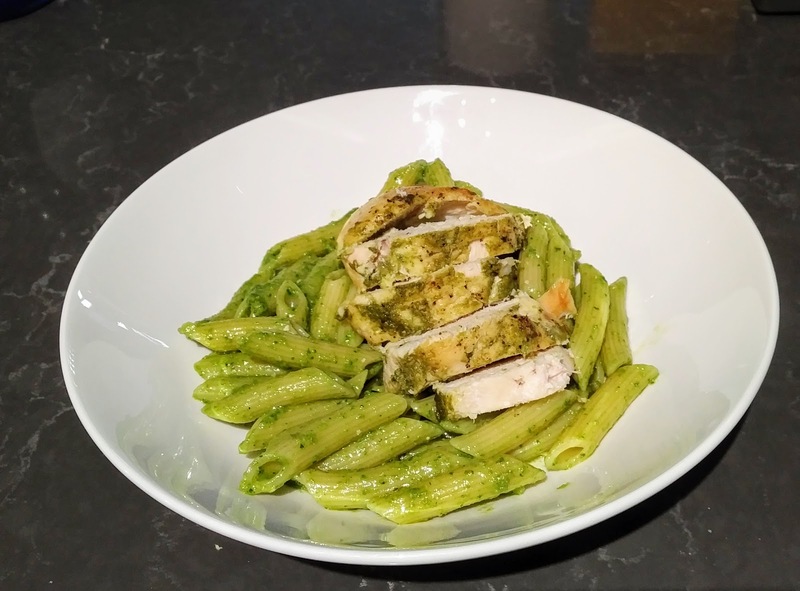 This pesto sauce is delicious and healthy and can be used in a variety of dishes like shrimp pasta, bacon wrapped chicken, or grilled pork chops. 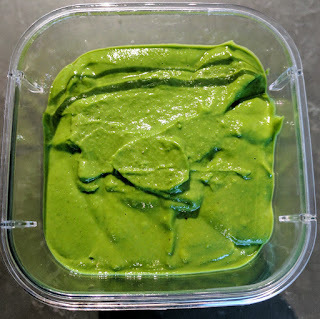 I used the recipe from the recipe book that came with the Vitamix series 300 and made a few tweaks. 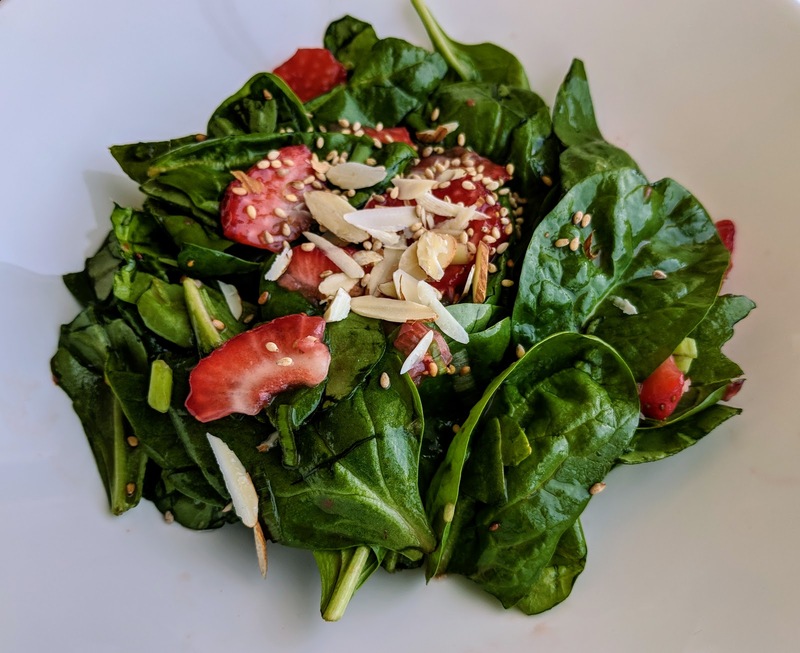 * This recipe works well without the kale too, if you're not a fan. If you leave it out, you can also leave the sugar out. 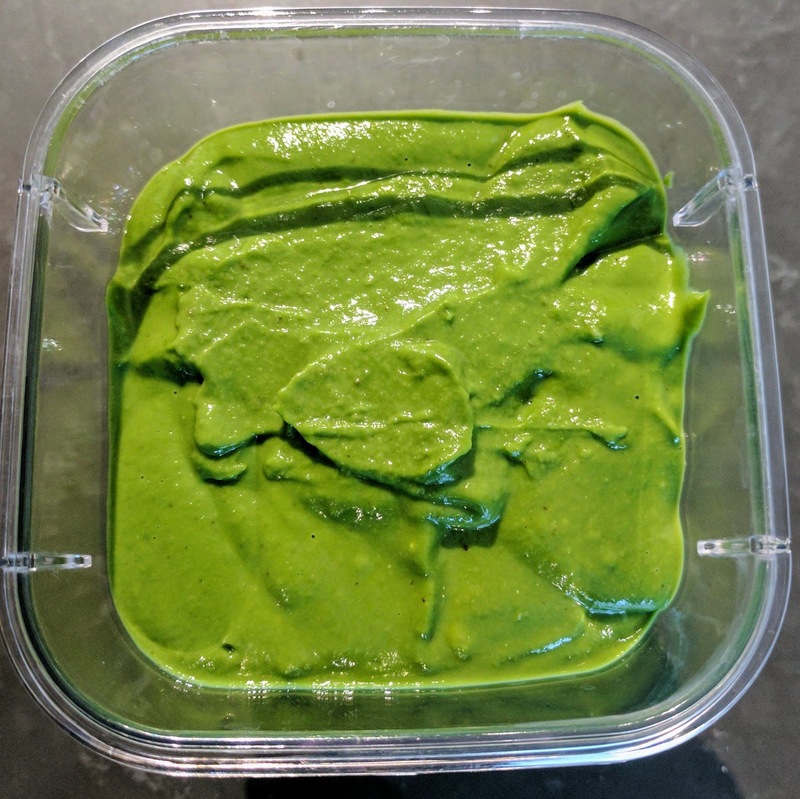 Put all the ingredients in a high-powered blender (I use the Vitamix Series 300), blend for 45 seconds on low (variable 2). 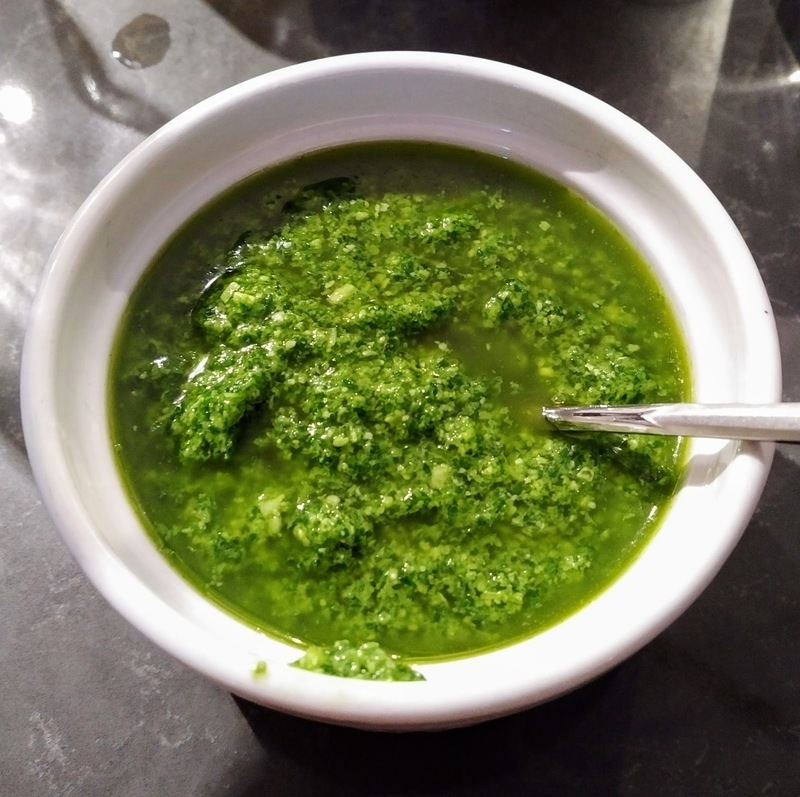 If you prefer a smooth, blended consistency for the pesto, blend it for longer and turn to a higher level (up to variable 9). Now you've got pesto sauce ready to go with any of the below meals! You can store in a jar or airtight container (like the OXO Locktop containers) for up to 1 week in the fridge. Grill 24-28 peeled medium sized shrimp over medium-high heat fry pan (I use the De Buyer pan). If you're using jumbo shrimp, 20-25 should be sufficient. 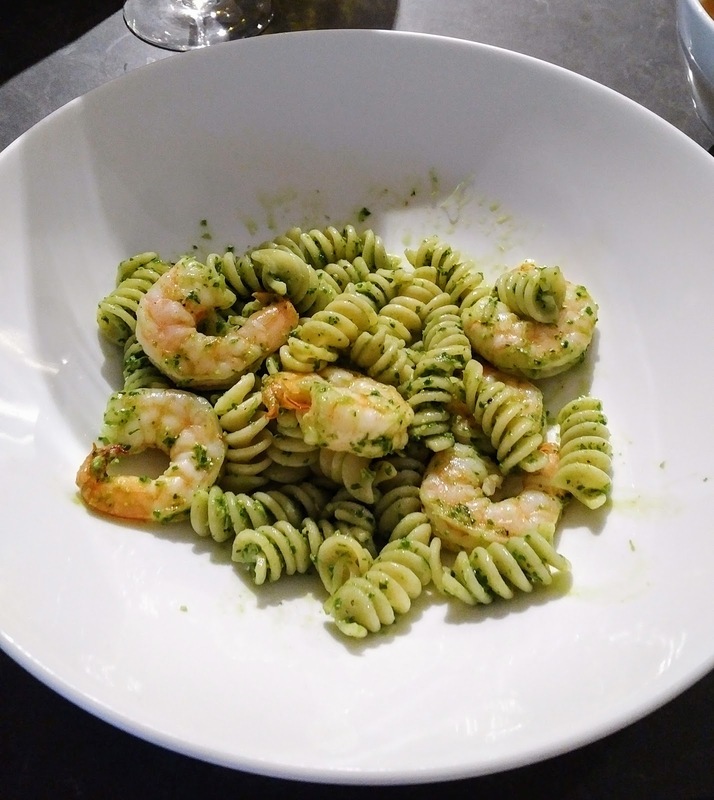 Heat 1 cup of the pesto sauce over medium heat in a fry pan for 3-4 min, (5-6 min if it was stored in the fridge) stir in the shrimp and pasta, mix for 1 min and serve. For chicken breast pasta instead, prepare 2 chicken breasts. Using a meat tenderizer, pound the breasts for about a minute on each side. I cover the chicken with saran wrap to minimize splatter in the process. 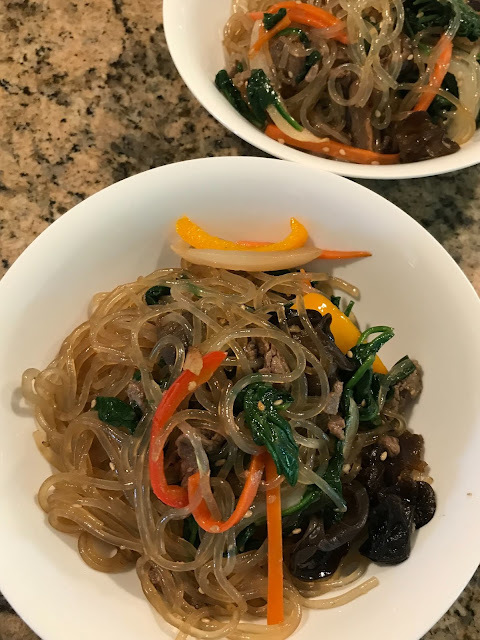 Marinate with 1 teaspoon of sugar and 1/2 teaspoon of salt. Spread pesto sauce on 1 side of the breast. Wrap in foil loosely and bake for 40-45 min. Unwrap the foil to expose the chicken, turn over to the other side (without the pesto sauce) and broil for the last 5 min. If using a meat thermometre, the temperature should read 165°F or 75°C.